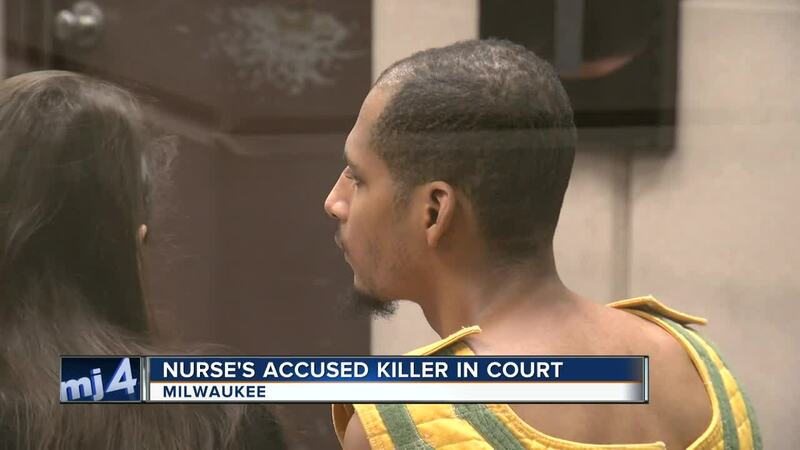 Bail has been set at $500,000 for the man accused of killing a nurse practitioner in a parking structure outside of Froedtert Hospital last week. Twenty-seven-year-old Kenneth Freeman faces a charge of first-degree intentional homicide for the brutal murder of 33-year-old Carlie Beaudin. According to the criminal complaint, surveillance video around 1 a.m. last Friday shows Beaudin heading towards her car when confronted by Freeman. Beaudin continues to walk to her vehicle when Freeman runs up behind her, knocking her to the ground and violently attacks her. The Milwaukee County Medical Examiner's Office ruled the cause of death to be blunt force trauma to the head. About two hours later, Beaudin was discovered under her car by someone there to remove snow in the parking structure. According to a spokesperson for the Milwaukee Police Department, Freeman was released from the Milwaukee County Jail hours before the attack. Sgt. Sheronda Grant said Freeman was arrested for resisting and obstructing an officer and use of a weapon but was released on the afternoon of Jan. 24 because prosecutors ran out of time to file charges. Freeman's next court appearance is Feb. 8. Freeman is subject to gps monitoring, but if refuses, his bail will rise to upwards of $1 million. Freeman is to have no contact with Froedtert Hospital or any affiliates.